The twisted and mad sequel for Alice in Wonderland has been revealed as the D23 Expo 2015 commences. The sequel, which is similarly titled compared to Lewis Carroll's second Alice book, is expectedly called Alice Through The Looking Glass. So far, two time-bending posters have been released, featuring Johnny Depp's Mad Hatter and Mia Wasikowska's Alice. Tim Burton will not return to direct the movie, but he will be the film's producer. James Bobin will take his vacated seat. The movie is based on the screenplay by Linda Woolverton. Johnny Depp, Mia Wasikowska, Helena Bonham Carter, Anne Hathaway will return to reprise their roles and they will be joined by Rhys Ifans and Sacha Baron Cohen. 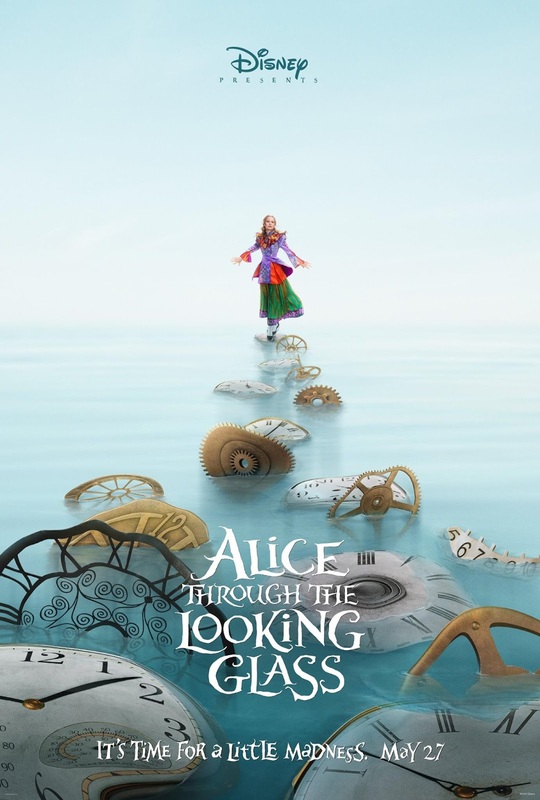 Check out the new posters of Alice Through The Looking Glass. The plot line or synopsis is still in the wraps, but we can assume that it will loosely follow that of the book. Alice Through The Looking Glass will hit theaters on May 27, 2016.